Whether you purchase it for yourself or receive it as a gift, a right hand ring can have special meaning. There are many different designs, which often signify a special moment in your life or a key element of your personality. Understanding these meanings can help you choose the best right hand ring for yourself or someone you care about. A right hand ring can take its meaning from the circumstances surrounding its presentation or purchase. In addition to design, these are two of the most important factors that can affect the meaning of your ring. In addition to the symbolic link between the giver and the receiver, there is significance in who purchases a right hand ring. If a husband gives his wife a right hand ring, it could be a renewal of their wedding vows, a symbol of their romance, or a promise to continue cherishing one another. If a woman buys the ring for herself, it may be a statement of her independence or a reflection of her personal style. No matter who gives it, a ring can signify a special moment in time. Some women may choose right hand rings as unique engagement rings, while others may purchase a right hand ring to celebrate a promotion at work, a college graduation, or even a finalized divorce. Regardless of the reason, this ring will always symbolize a specific moment to the wearer. There are many popular designs for right hand rings. Certain designs are associated with a specific meaning. Promise rings are often worn on the right hand so they are not confused with engagement rings or wedding bands. The promise ring meaning may be one of love and romance, or it could signal a commitment to religious purity, chastity, or personal dedication to a goal. 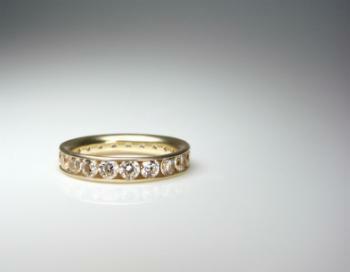 Many women wear anniversary rings on the right hand, and these designs may represent a milestone wedding anniversary. They can also signify the anniversary of a first date, first kiss, or any other important event in a woman's' life, such as memorializing a loved one or commemorating a child's birth. Mother's rings are highly symbolic right hand rings that frequently include engraved names or birthstones to represent children or grandchildren. These rings are perfect Mother's Day gifts, but they may also be given when a child is born or just to celebrate one's family. 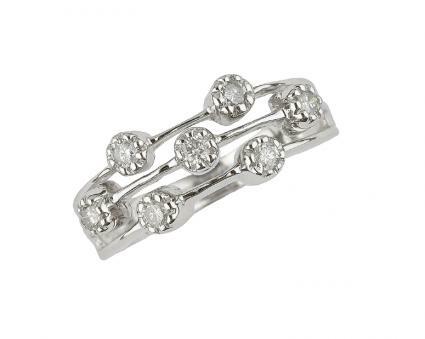 Journey diamond rings are a popular and elegant design. They can represent the growth of a relationship or the journey along a path, such as a career path or other milestones. 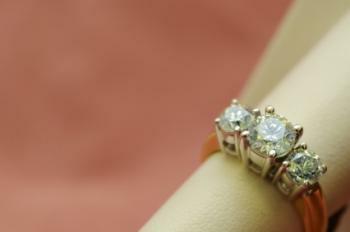 A three-stone ring typically features a center gem flanked by two same-size or smaller accent gems. This popular design often celebrates the past, present, and future of a relationship. The majority of right hand rings are also called fashion or cocktail rings, and their designs are generally more geometric or abstract. Swirls, metal bands, and scattered stones are popular elements, and the meaning of these motifs is a bold reflection of the wearer's personal flair and style. Some right hand rings have specific shapes and figures that can be very symbolic. Initials, animals, Celtic knots, birthstones, and other designs may represent someone's passions, career, or hobbies. No matter which meaning is commonly associated with the design of a right hand ring, the wearer is the one who ultimately gets to decide the symbolism of a piece of jewelry. Your ring may represent a special moment or a person you love, regardless of the style you choose.